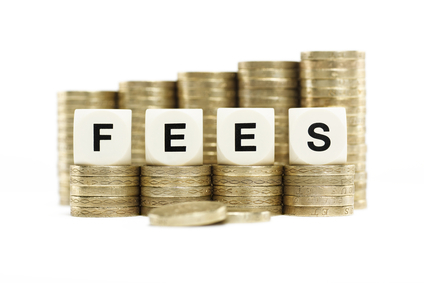 Adversary proceeding case filing fees will rise from $293 to $350. The administrative fee for filing a chapter 7 petition will rise from $46 to $75, increasing the total fee for a new chapter 7 case from $306 to $335. The administrative fee for filing a chapter 12 petition will rise from $46 to $75, increasing the total fee for a new chapter 12 case from $246 to $275. The administrative fee for filing a chapter 13 petition will rise from $46 to $75, increasing the total fee for a new chapter 13 case from $281 to $310. The administrative fee for filing a petition under chapters 9, 11 or 15 will rise from $46 to $550, increasing the total fee for such cases from $1,213 to $1,717. 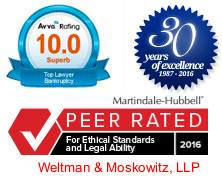 Contact Richard Weltman (rew@weltmosk.com) or Michael Moskowitz (mlm@weltmosk.com) if you have any concerns about the timing or applicability of any of these new federal court filing fees, or to discuss particular bankruptcy issues or strategies of interest to you.